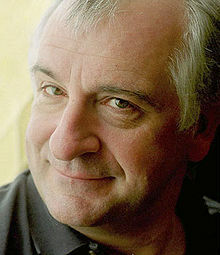 Douglas Adams Douglas Adams was born in Cambridge, England in 1952. He has written for radio, television and theater and has worked as a hospital reporter, barn builder, radio producer, and script editor. His bestsellers include "The Hitchhiker's Guide to the Galaxy, the Restaurant at the End of the Universe, Life, the Universe and Everything, So Long and Thanks for All the Fish, Dirk Gently's Holistic Detective Agency", and "The Long Dark Tea-Time of the Soul".